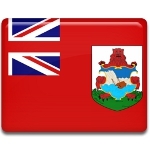 The islands of Bermuda celebrate Bermuda Day on May 24. If the day of the holiday falls on weekend, it's moved to the weekday nearest to May 24. Bermuda Day was known as Empire Day and Commonwealth Day, but nowadays nothing reminds of its British origin. Bermuda Day is traditionally associated with the beginning of the summer and people rush to the sea to go out on boat. Another tradition of Bermuda Day concerns wearing of Bermuda shorts as business attire. The holiday is observed with a parade in Hamilton. Another popular and loved tradition is road race from the west end of the island to Hamilton. Road race is so popular, that the residents stake out particular sections of the pavements to watch the event. There are different ways, how the section can be preserved for particular people and families. Some people rope the sections off, but it's frowned on as people are hurt as walking into such ropes, mark them with a tape and a name on it and even sleep there overnight.